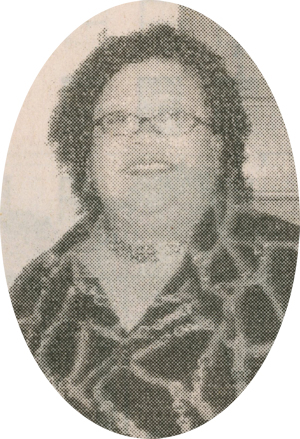 Obituary – May, Christine (Caine) « Perry High School Alumni Association, Inc.
FHA 74-77, FHA Sec. 76-77, FHA Song Leader 75-76, All School Revue 74-75, Newspaper Staff 74-75, Vocal Music 76-77, FTA 75-76, Thespians 74-75. ﻿Christine May was born on September 28, 1959 in Perry, Oklahoma, the fifth child of eight children born to Leo Caine and the late Ethel Mae Caine. Christine joined the Perry Church of God in Christ Church at a very early age and was a dedicated Sunday School teacher, a member of the Young People Willing Workers (YPWW), and participated in special events, including Christmas and Easter programs and the Bible Band. Christine attended Perry Public Schools and graduated from Perry High School in 1977, where she participated in Vocal Music, Future Homemakers of America, and the Thespian Club. 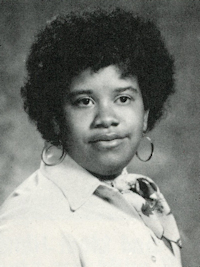 Upon graduation from high school, Christine attended Northern Oklahoma College (NOC) in Tonkawa, where she participated in the Black Gospel Choir and Student Government. She earned an Associate’s Degree in Business Administration from NOC in 1979. She then enrolled at Central State University (now the University of Central Oklahoma) and pursued a Bachelor’s degree in Business Administration. Christine began her professional career by first working as a claims representative and then earning the role as a manager for Harrington Benefits in Oklahoma City. She worked for the company for 25 years. Christine worked hard and was dedicated, loyal, and reliable. She earned the respect of many coworkers over the years. Christine met Curtis Earl May in Oklahoma City in 1981. They were married on March 19, 1983 in Perry, Oklahoma. After their marriage, the couple settled in Spencer, Oklahoma. Christine and Curtis are long-time members of the Holy Temple Church of God in Christ, where Christine has labored in love in several capacities, including serving as the Choir Director and the Kitchen Coordinator. She has also been active with the church’s sewing club and has been instrumental in assisting with spiritual dramatic productions and planning the Pastor’s anniversary/appreciation service. ﻿Without a doubt, Christine led a life filled with love and happiness. She was always a leader and very approachable; thus, people often freely shared their thoughts with her. Thus, she found opportunities to lend a helping hand to others when least expected. Christine consistently demonstrated commitment to God, her family, her church, her job, her daughters’ school, and the community. She was a great role model to many and her example of compassion and servitude has set a high standard that will certainly be honored and missed. Christine made a swift and peaceful transition from this earthly place to her heavenly home on Monday July 9, 2007 at the family home. She was preceded in death by her mother, Ethel Mae (Adkins) Caine; her infant brother, Martin Luther Caine; her step daughter, Twanna May; her Great- Grandmother Ethel Polk; and her Grandmother, Mary Belle Adkins. Christine leaves to cherish and honor her life memories, her loving husband, Curtis Earl May; her step sons, Tyree May of Perry, Oklahoma; Waymon (Carmen) May of Irving Texas and her daughters, Joi and Drina May, Spencer, Oklahoma. Christine also leaves her father, Leo Caine of Oklahoma City and 6 siblings and 9 neices and nephews to cherish her memory: Bob (Sandra) Caine and children Nichole and Matthew Caine, Houston, Texas; Bertha Robinson and daughter Tori Robinson, Oklahoma City; Ron (Sandra) Caine, Broken Arrow, Oklahoma and children Donovan Caine of Houston, Texas and JeVonna Caine of Norman, Oklahoma (and their mother Linda Caine of Tulsa, Oklahoma); Tammy Caine, Oklahoma. City; Roger (Jackie) Caine and their children Martin and Jerad Caine of Oklahoma City; and Teresa (Lloyd) Bingman and their children Adam and Victoria Bingman of Okemos, Michigan; and a host of other relatives, friends, and co-workers. Funeral service will be held at 11 a.m. Saturday, July 14, 2007, at the First Baptist Church in Perry, OK, under the direction of Pollard Funeral Home of Oklahoma City.